Temperatures are FINALLY cooling off here in Georgia and the feel of fall is in the air! When the seasons change many people change their preference of food (leaning more towards soups and chili) and workouts (moving inside when it gets too cold outside!). The change of seasons also a great time to take a look at what you have accomplished so far for the year. We shared some of our goals with you back in July and wanted to take the time to look back at what we’ve accomplished and what we still need to work on. We also have a brand new 32-Minute Full Body Burn Tabata Workout for you to try this fall. We definitely met our workout goals for the most part. Our goals included incorporating strength training, cardio, and yoga. When we weren’t traveling we both did 4-5 days of strength training, 2-3 days of cardio, and one day of yoga. We didn’t do as many yoga classes as we had planned, we did do our own short yoga after most strength training workouts so we consider that a win! We both did our She Sweats 12-Week Transformation (yes guys can do it too!) in order to have our workouts completely laid out for us. We also hiked 94 miles since we set our goals back in July! Those miles were hiked in New Hampshire (mainly on the Presidential Traverse), Hawaii, Georgia, North Carolina, Tennessee, and Wyoming! Whew, that makes me tired just typing that out. On the weeks that we hiked we cut back (or completely eliminated) the cardio we normally do after our workouts. We’ve become more conscious of over-doing the cardio! Our nutrition goals were to try new recipes, go meatless at least once a week, and cut back on caffeine (or at least find better sources of caffeine). We accomplished these goals as well, with help from our favorite new sweetener, SPLENDA® Naturals Stevia Sweetener. Although we haven’t had a chance to post all of our new recipes, we have posted one of our favorites, Pecan Pie Overnight Oats. For our meatless meal, we usually made a complete meal out of quinoa or had cauliflower pizza! As far as caffeine, we tried to move more towards caffeine in tea in an effort to ditch artificial forms of caffeine. 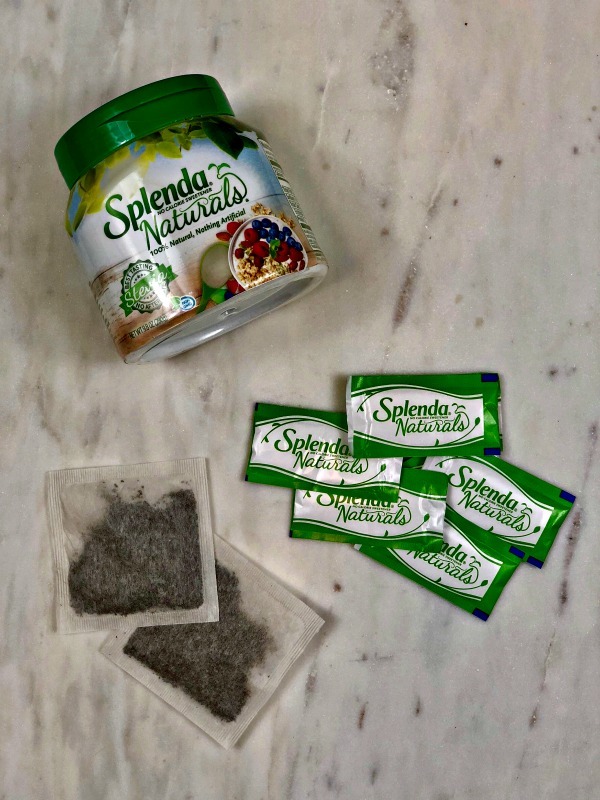 We either make our own unsweetened tea at home and use SPLENDA® Naturals Stevia Sweetener to sweeten it or if we are out we will get an unsweetened tea and use one of our convenient Splenda Naturals packets (that we always have with us!). Overall, I would say that we have accomplished the goals that we set in July although we do still need to put more of a focus on yoga and trying new recipes! Since we have traveled a lot since July some of our workouts were not what we had planned but we managed to do what we could with the space we had. 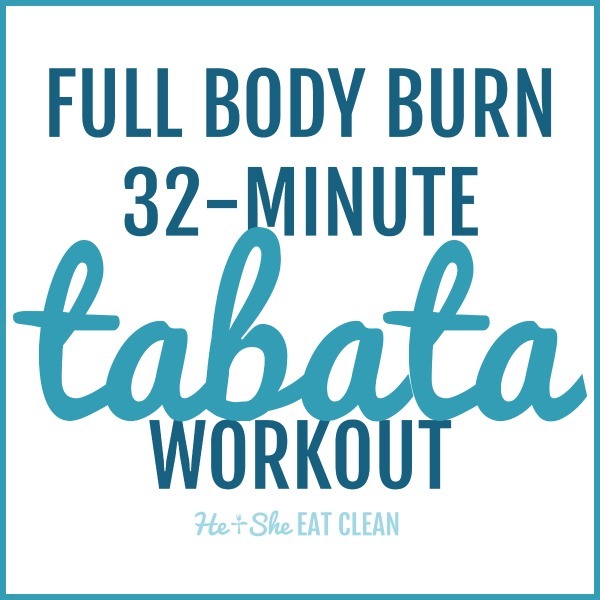 This Full Body Burn 32-Minute Tabata Workout has become one of our favorites! Tabata is a great way to keep your heart rate up and get a great workout in a short amount of time. You will perform each exercise for 20 seconds and then rest for 10 seconds. 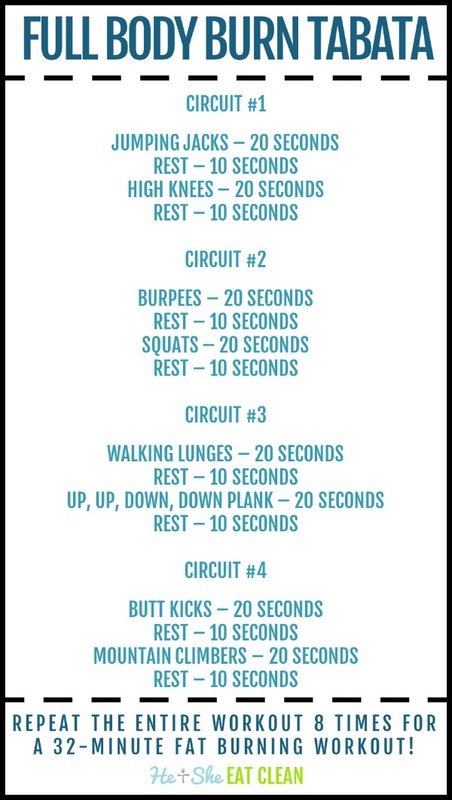 There are four circuits and you will repeat each circuit eight times for the full 32-minute workout. If you don’t have that much time, repeat each circuit four times for a 16-minute workout. Remember, small steps really add up quickly! So, don’t wait until next Monday, next month or next year – get started today! Most people have a goal of eating less sugar if that is you try SPLENDA® to meet your goal! SPLENDA® Naturals Stevia Sweetener is stevia (not sugar!) and is 100% natural (no artificial ingredients), zero calories, and NO bitter aftertaste. We’ve used it in many different recipes and protein shakes! One of our favorite recipes is still our Lemon Cookies – YUM!